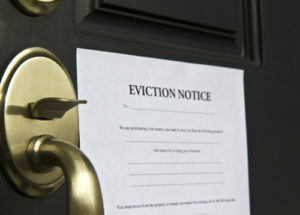 Which Eviction Notice Should You Serve Your Tenant? In most cases, the way you serve the eviction notice as well the type of notice you serve can make or break your eviction case. If a landlord doesn’t serve the right type of notice to the tenant they wish to evict, the notice may be contested and the case automatically lost. What’s more, one of the typical mistakes landlords make is serving the notice incorrectly, which also severely jeopardizes the outcome of the case. This article aims to give a brief overview of basic types of notices, as well as scenarios in which they should or shouldn’t be served. Since a tenant’s failure to pay rent is one of the most common reasons for eviction, this type of notice is most often served. Basically, the tenant is given three days to either pay the due rent or vacate the landlord’s property. Although there isn’t a fixed format for this type of notice, landlords should consult a licensed Unlawful Detainer Agent to determine the specifics of their case and draft a suitable notice. Regardless of the format, the notice should be explicit about the amount of money due, the method of payment and the fact that the landlord expects the tenant to move out in case the amount is not paid within three days. IMPORTANT: If a tenant has also failed to pay other monetary charges besides the rent, the landlord shouldn’t include them in this notice. If a landlord does include them in the notice, then the notice is deemed defective and the landlord risks having their case thrown out of court by the judge and forced to start the case over with a new and correct notice. It’s important to know that the 3 Day Notice to Pay Rent or Vacate usually declares an election of forfeiture of the tenancy. The landlord can choose to omit this element if they have their reasons to do so. However, if there is no declaration of forfeiture, the tenant might be able to redeem their tenancy. More specifically, even after the eviction judgment is entered against the tenant, omitting this declaration gives them the right to pay the due rent within 5 days following the entry of the judgment. In that way, the tenant will have the right to remain in the landlord’s property. In case there are other monetary charges due by the tenant, a landlord can serve them the 3-Day Notice to Perform a Covenant or Leave, that is, vacate the property. What’s more, a landlord can also serve this notice if the tenant failed to fulfill non-monetary obligations clearly stated in the rental agreement in the form of covenants. Sometimes, if a tenant cannot perform a covenant, the landlord can simply serve them a notice to vacate. Nevertheless, it can be difficult to prove whether a tenant can perform a covenant or not. If a tenant can prove their ability to perform a covenant, the landlord will have no case, since they served the wrong type of notice. This type of notice also includes a declaration of forfeiture. Unlike other types of eviction notices, this notice doesn’t make it possible for the tenant to cure. Landlords may choose to serve this notice if their tenant has committed a nuisance on or waste of their property. This would include drug usage, annoyances to neighbors, hoarding, subletting or other intentional damage to the property. These two types of notices are almost as frequent as the 3 day notice to pay rent or vacate. Both notices are used for terminating periodic tenancies. The 30 day notice is served when a tenant has lived in the landlord’s property for less than a year. By contrast, the 60 day notice is served when the tenant has lived in the property for a year or more. Neither of these types of notices contains the declaration of forfeiture, but they should explicitly state the landlord’s intent to terminate the tenancy and repossess their property. Since the eviction notice is the foundation of an eviction case, drafting and serving the notice are the most frequently sought eviction services in San Diego. Once you’ve served a notice to your tenant, there is no going back. In case the notice is contested, you automatically lose the case and have to start it all over. Don’t let this happen to you – consult a licensed, registered and bonded Unlawful Detainer Assistant at San Diego County Evictions at (619) 243-6622, online or in person. We are here to help you gain possession of your property and also connect you with a qualified tenant after the eviction is completed.